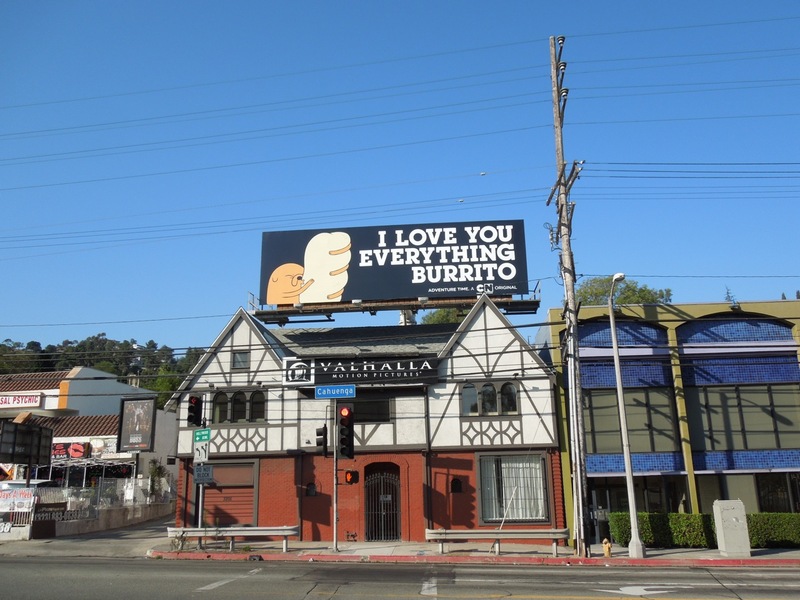 Now here's a great way to start the day, the breakfast of champions. 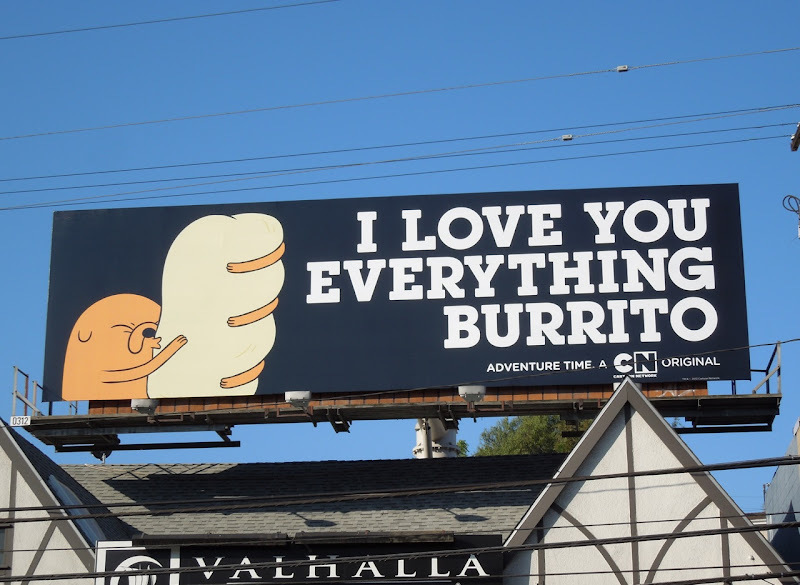 Fans of Cartoon Network's Adventure Time will love this billboard for the cult favourite show and Daily Billboard thinks this irreverent billboard featuring 'Jake' and his 'everything burrito' would make for a righteous t-shirt too. 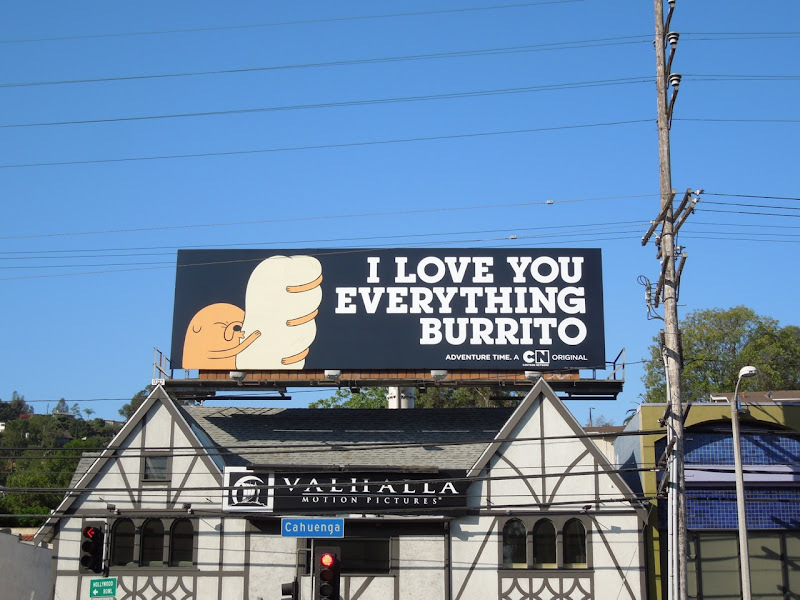 This fun Adventure Time billboard for the animated series, following the surreal misadventures of 14-year old 'Finn' and his trusty magical dog Jake, was snapped at the bottom of Barham Boulevard at Cahuenga Boulevard on August 18, 2012.